When it comes to maintaining your caravan, we are “the people who know”. 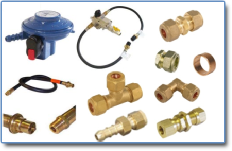 We carry a wide range of gas fittings, regulators and other caravan accessories, including WHALE pumps, FIAMMA products, and sanitary fluids from ELSAN & THETFORD, including seal kits and spares for their Porta-Potti range. Here at Smithsons, we have a great range of accessories for caravans and motorhomes. In fact, we have just about everything you could need - including some of those hard-to-get items. And all at competitive prices. 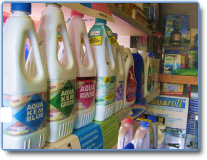 We also carry a wide range of gas fittings and regulators, as well as bottled gas in all shapes and sizes. Plus, if you run your car on LPG, you can fill up here, and save £££ compared with the cost of petrol or diesel.